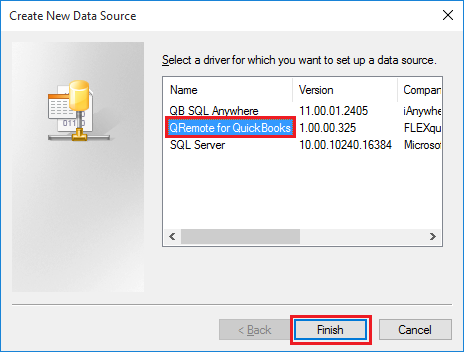 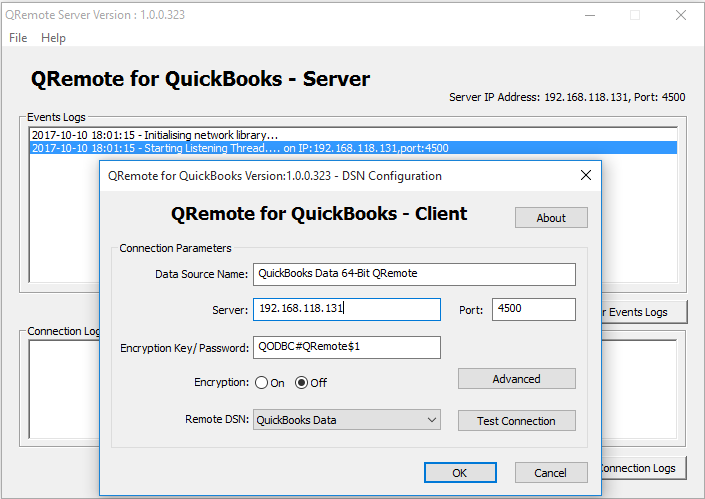 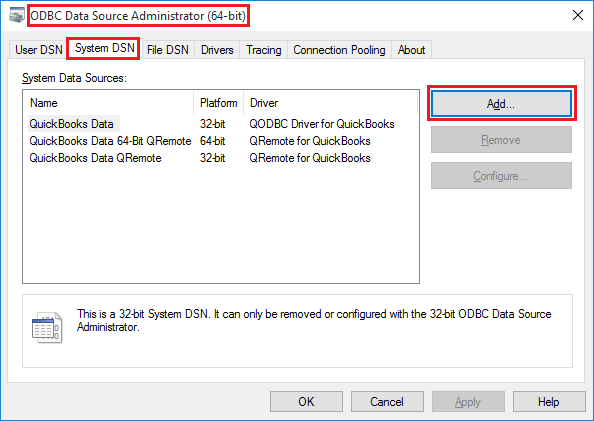 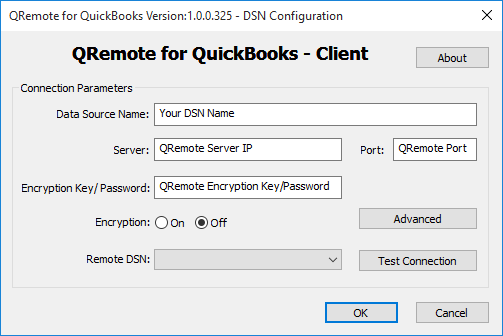 o To create a new QRemote DSN entry, navigate to ODBC Manager 64-bit. 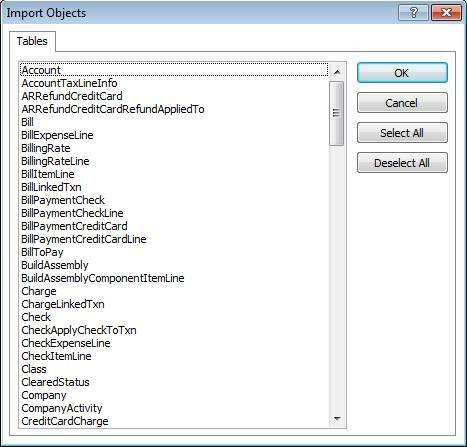 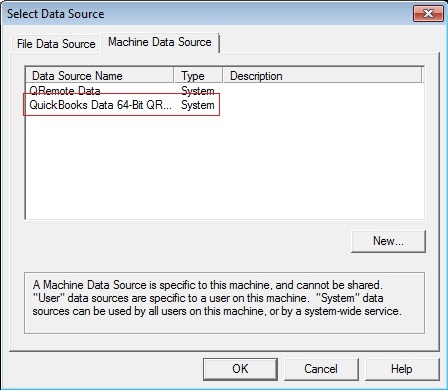 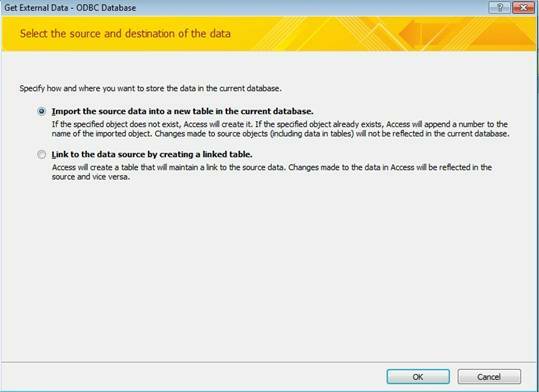 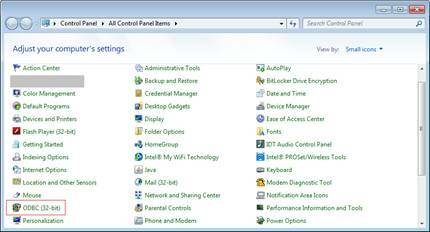 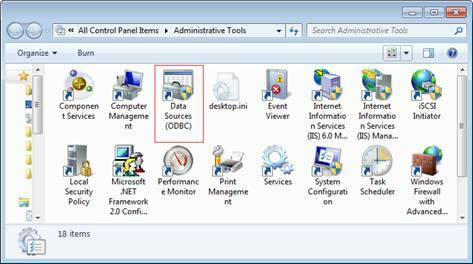 Located under Control Panel > Administrative Tools > Data Sources (ODBC). 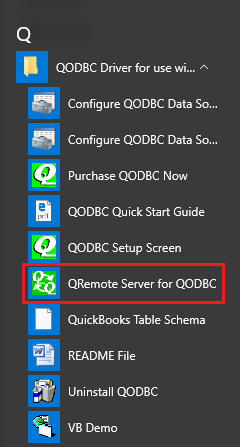 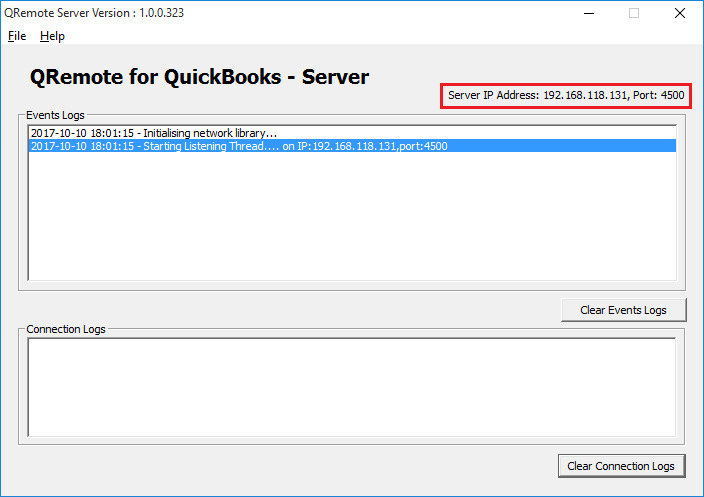 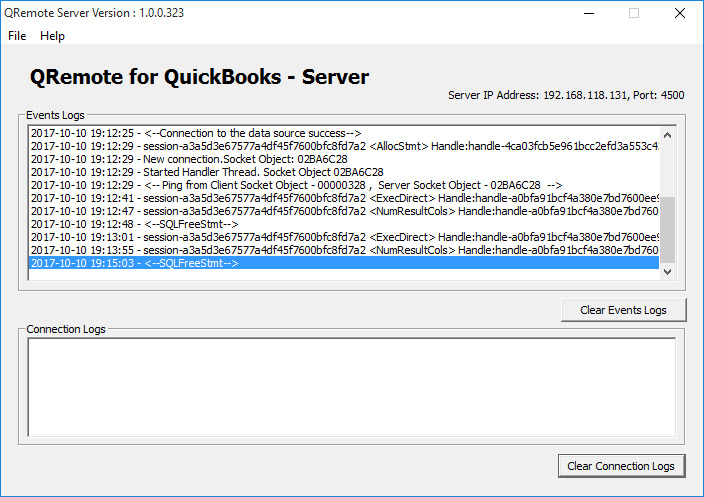 You can notice the connection information getting logged under QRemote Server.